A blonde goes into a Best Buy. She asks a clerk if she can buy the TV in the corner. 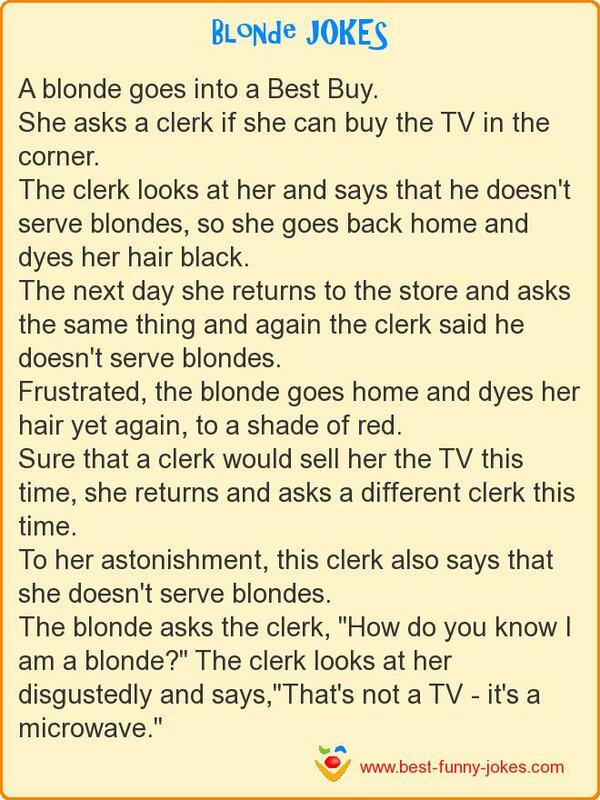 The blonde asks the clerk, "How do you know I am a blonde?" The clerk looks at her disgustedly and says,"That's not a TV - it's a microwave."